Puncha PS is located at 23° 9'33.61"N and 86°39'3.13"E and 43 Km East from District HQ. 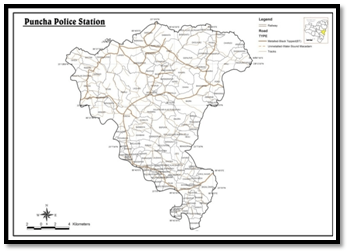 Puncha Police Station has a jurisdiction over an area of 330.11 Sq KM having population 1,23,768 out of which 62,695 were males and 61,073 were females with 08 GP. 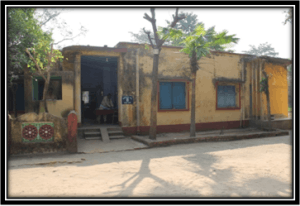 This Police Station is under Purulia Sadar West Sub-Division and sharing border with Manbazar, Kenda, Hura PSs of this district. The PS has one Block and maximum people livelihood is very poor. 19. Industry (Name of the Big Industry) : Major industries – Nil, Minor Industries – 01. Sahana Rice Mill – 9732174256.